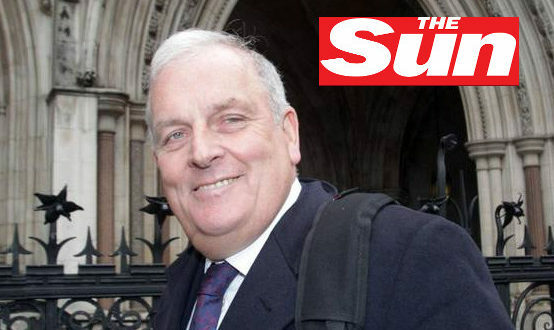 You’ve likely heard about the decision by Everton FC to deny The Sun journalists access from their premises, a move which followed former editor Kelvin MacKenzie’s racist and unprovoked article which attacked footballer Ross Barkley and people from Liverpool. We’d like to think that it wasn’t just this particular piece by MacKenzie which prompted the move – there’s been a huge number of pieces in The Sun which would have warranted this decision many years ago. Liverpool football club have of course denied the newspaper access already, a decision they easily took back in February, mainly related to The Sun’s activities following the Hillsborough tragedy. If you’re unaware what happened on 15 April 1989 then we’d recommend reading up about it here on Wikipedia, and if you can manage to watch it (it’s not an easy watch at times considering the footage and content) there’s a really moving documentary called Hillsborough by ESPN which all football fans need to see, as difficult as it may be. Following on from Everton and Liverpool’s own decisions to deny newspapers journalists access from “all areas of operation”, we’d like to use this opportunity to encourage other Premier League and football league clubs to follow suit. Why is it that only these two football clubs should deny access to a newspaper which repeatedly publishes racist, hateful and untruthful stories again and again, without any form of guilt or indication of regret. I don’t feel that just because the newspaper has previously attacked people of Liverpool, or the clubs from this area, that as a whole the football community shouldn’t also feel the hatred that The Sun has happily put into print again-and-again. This is why we’re calling on all Premier League football clubs to please follow Everton and Liverpool and show some solidarity by denying The Sun staff access to their premises. Although in overall terms this would be a small dent in the media group’s overall grip on the publishing industry, by beginning with these top-tier football clubs it should have a knock-on effect, trickling down to other businesses too in other forms. Eventually we’d like to see businesses no longer selling the newspaper completely. Many newsagents in Liverpool don’t stock the paper already, due to public demand, but we’d like to see this movement spread throughout the UK. Again, why should the people of Liverpool only feel affected by the hateful and often untruthful stories they publish. The Sun often hide behind the excuse of hiring journalists who “aren’t afraid to push the boundaries”, or are “outspoken in their views” as a means of encouraging more people to buy their paper, or to read their news online, which both help fuel both their funds and which help to pollute the minds of it’s readers – but this can not be tolerated any more. Update (16.04.2017): You can also join the highly active and popular “Total eclipse of The S*n” Facebook group here if you wanted further proof of people’s attitudes towards this newspaper. So this is how you can get involved with the campaign to deny The Sun newspaper access to your club. If you wanted to get involved further, or had any other ideas to further our campaign, then please contact us! These are just a few ways you can help get involved. The number 1 way in which you can help is by signing the Petition we’ve created here. If you do just one thing to help the cause, then please contribute your signature to this piece. #1 Sign the Petition on Change.org here! By signing our petition you’re helping us to reach our initial target of 1,000 signatures, and eventually the aim is to achieve such coverage that the Premier League will hopefully respond. We are aware that the Premier League may not be able to impact any change at club level – the decision to deny The Sun access to Liverpool and Everton football club happened at club level, however as The Premier League organisation is partly-owned by all 20 clubs, they can still bring this up as a topic to debate at their next AGM. However – if we can get that far (and we’re positive we can), then surely all other 18 Premier League clubs will want to take this decision upon themselves anyway, regardless of the Premier League’s advice. Please take action today by signing the petition below on Change.org! Since beginning the petition on Change.org we’ve had over 12,000 signatures – which is great news! And now, several other football clubs have had their own petitions started by fans (which is the best way we can think of the petition reaching more and more football clubs and fans!). Please get involved and sign the other club petitions below, and get in touch if you want to start your own club petition – we’d be happy to supply all the info you need! If you really want to help take things further then why not setup your own petition on Change.org asking your nearest Premier League club to follow suit and deny The Sun access to your club – if just 18 people did this then we’d have the entire Premier League covered! (select File > Make a copy to be able to make your own changes in the document). To save time you can copy and paste the e-mail template below, just changing a few of the necessary fields. You can find all Premier League club email addresses in the list above, and if you wanted to give them a phone call then you’ll also find the club numbers detailed above too. Remember to be polite and courteous – the person on the end of the line may represent your football club, but they will unlikely be able to give you any kind of answer there and then. What’s important is to ensure you’re voice is heard, and to follow up your request again (by email, by post, or on social media). (copy and paste this message to your email composer and just edit the red fields with your own info). After writing and emailing your football club, another great way to get your question into the club would be via social media. All premier league clubs are active on some of the major social media networks, and many other football league clubs are now social too, so this is a great way to get in touch with them. One obvious benefit of this method is that other people can see the message, and any response by the club, so it’s easy for others to piggyback on this interaction (retweeting, sharing, commenting, and so on all help to spread the petition). If you know the owner of your club i.e. they’re happily using social media and seem to interact with fans regularly, then you should also direct your social messages to them too. They after all are one of the primary decision makers within the club, and if they see fans making their voices heard collectively then they’ll feel obliged to take action. To make things easier for you, we’ve created some messages below ready for you to share with a Premier League football club of your choosing on Twitter. *We would encourage you to write your own personalised message when contacting a club on social media, so don’t feel that you have to use the template message above! If you’re reading this then great – that’s one extra person that has seen the idea behind this campaign, and hopefully you’ll be keen to get involved. 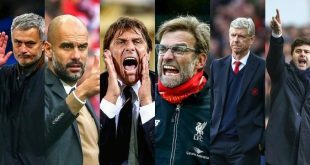 After getting in touch with your Premier League football clubs of choice then the next step would be to share the campaign with other relevant parties. Other football blogs would be a good place to start (and I’m going to try sharing this with them myself too, but it doesn’t hurt for others to try) and other media groups, publishers – basically any platform where football fans spend their time. If we can get our campaign seen by as many football fans as possible then the campaign will have been a success. The overall long-term plan here is for fewer people to buy The Sun newspaper, and now our first objective is asking all the Premier League clubs to prevent The Sun journalists from accessing their premises. Why are we bothering with this – surely it’s not going to make any kind of difference to The Sun? In the UK, the press is not subject to state regulation. The Government believes that this is fundamental to our democracy. That is why the government does not interfere in what a newspaper or magazine chooses to publish. However, with this freedom comes great responsibility. Newspapers must, of course, abide by the law, but they also sign up to a Code of Practice, overseen by the independent Press Complaints Commission (PCC). The Editor’s Code of Practice sets a benchmark for the standards the press is expected to maintain. If you would like any more information on the PCC and the Editors’ Code of Practice, it can be found on the PCC’s website at: http://www.pcc.org.uk. So ultimately (and as with near enough anything), the Government can’t help us out here. However the thing that can make a difference is you, and the actions you take. By not buying The Sun newspaper, and by not browsing their website, you’ll be taking the decision not to fund their company (by browsing their website you help them to earn advertising revenue, as advertisers pay according to the number of people that see their adverts). By telling your friends about this campaign, and anyone that listens, then you’ll be helping to spread the campaign and hopefully preventing others from buying and reading it too. And if we can start by getting all Premier League clubs to stop allowing their journalists into their training grounds and club facilities then we’ll have helped to evolve the movement which was started by Liverpool and Everton. This campaign is about generating publicity and awareness around the lies and hurtful stories published in The Sun regularly – and hopefully you agree this is something that everyone can work towards achieving. Please share this post with your friends to ensure as many people as possible sign our petition and get involved. Contact us if you want to get involved further, or had any ideas for making this a success. Thanks for reading!